I haven't ordered anything in a long time, but that doesn't mean that old preorders have stopped arriving. 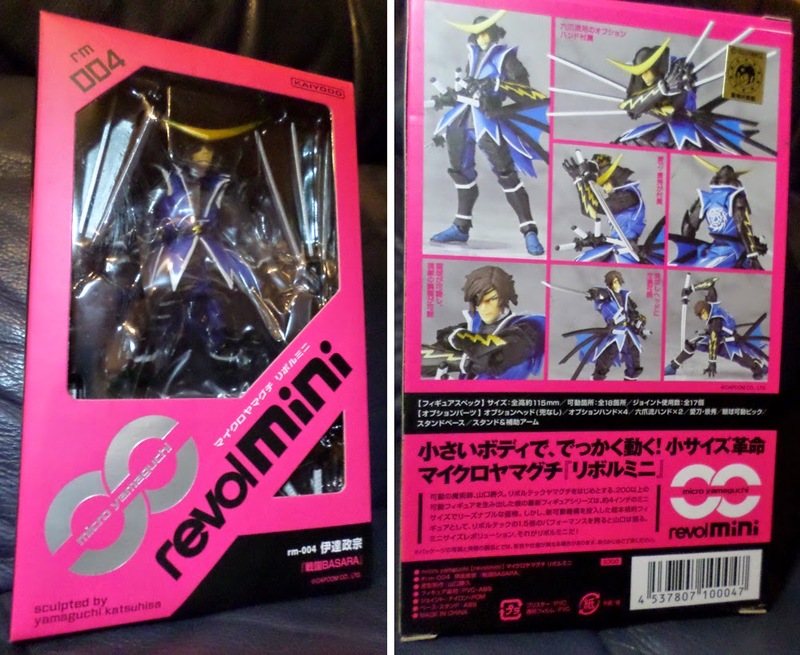 A few boxes of goodies turned up today, headed up by the newest figure of Date Masamune from Sengoku Basara. It's the fourth figure in Kaiyodo's 'Micro Yamaguchi' Revolmini line. 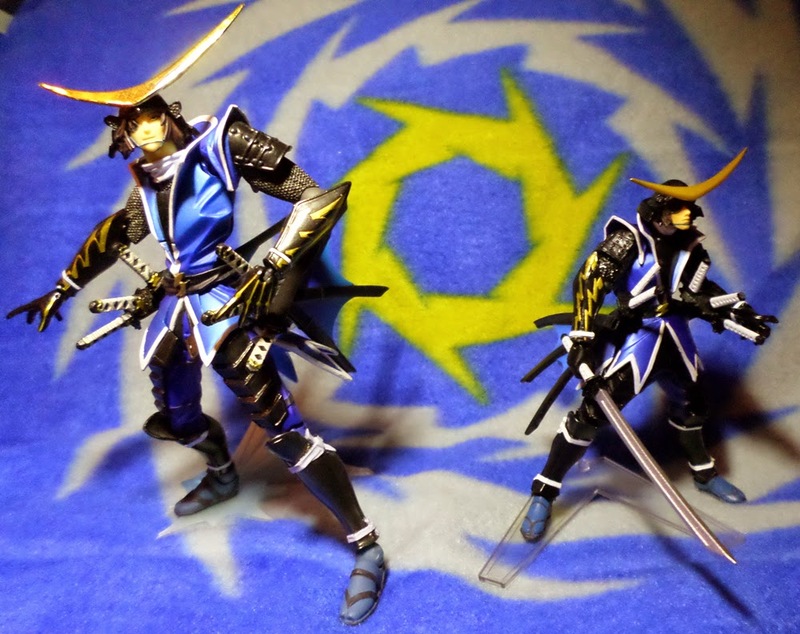 It's really small compared to the old Revoltech version! They look similar at first glance, but the new one is much more articulated and sturdy. 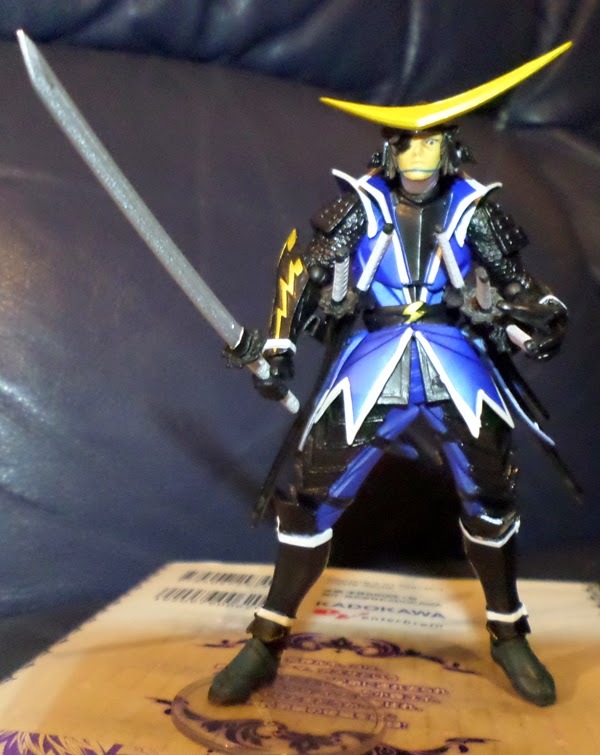 On the whole I'm quite pleased with the new Masamune. I hope the rest of the series' leads follow later so he has someone to fight with who doesn't tower over him by several centimetres. The same shipment included two manga volumes, Diabolik Lovers More Blood Mukami Hen: Sequel and the official adaptation of D3 Publisher's Gyakuten Yoshiwara. 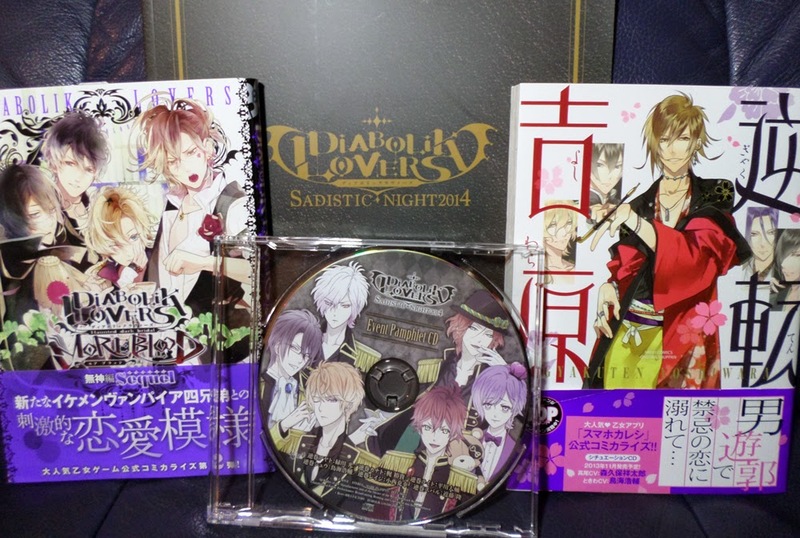 Sandwiched between them is the Diabolik Lovers: Sadistic Night 2014 event pamphlet and bonus CD. The next picture is almost entirely CDs. Diabolik Lovers do-S Kyuuketsu CD: VERSUS II Vol. 6 is the last in its series so it included Animate's special tokuten CD alongside the usual bromide. 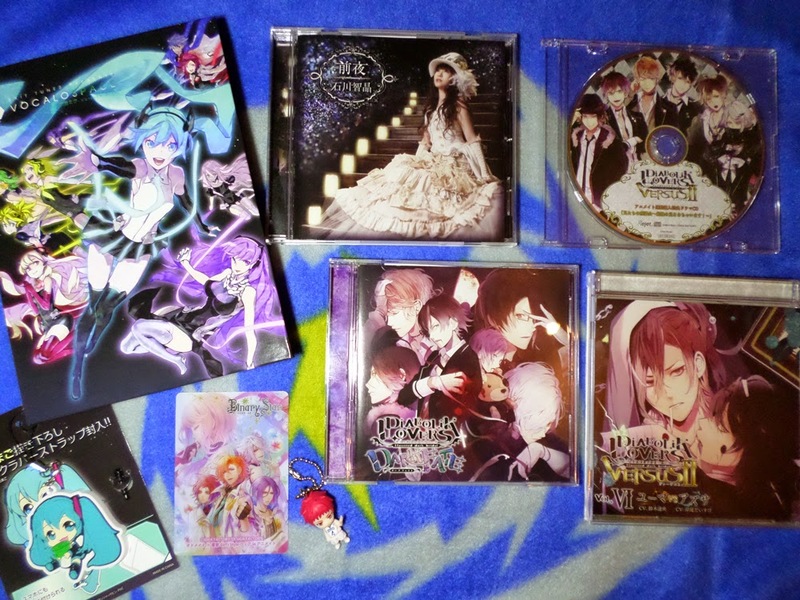 The second Diabolik Lovers Dark Fate CD came with Stellaworth's bromide and short story pamphlet, then Ishikawa Chiaki's Zenya EP and the limited edition hardback art book version of Exit Tunes' Vocalospace compilation round off the things I paid for. Vocalospace came with a cute Hatsune Miku rubber strap, Animate gave me a Binary Star trading card and Yesasia threw in a small keychain mascot of Akashi from Kuroko No Basuke.